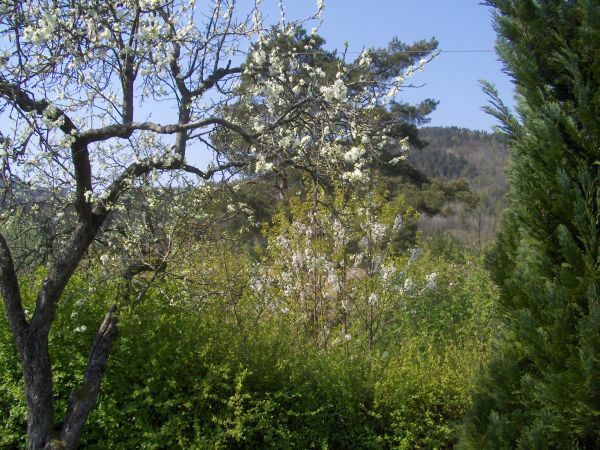 Fruit trees blooming in the garden. Today was Norway’s national day, Constitution Day. Â People dress up in their pretty clothes and go in processions. But I stayed at home. And the trees are dressed up pretty too, although they did not go anywhere.